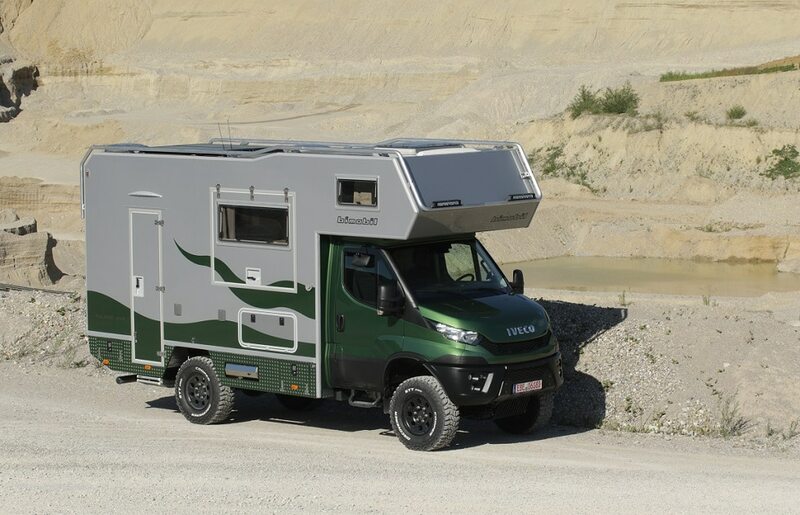 The bimobil EX 412 offers a successful symbiosis between awesome offroad characteristics with a compact mass and ultimate quality of living. Our newest model is an expedition vehicle for the whole family. 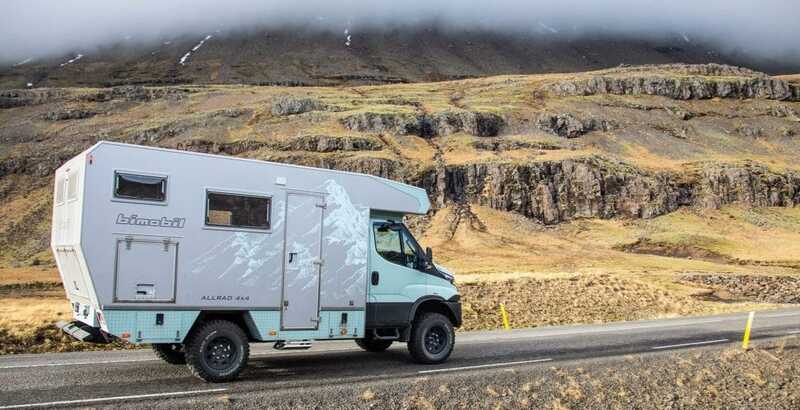 Built on the Iveco Daily 4x4 with extended wheelbase for extreme offroad it is therefore very spacious and allows even larger families to travel adventurously around the world. 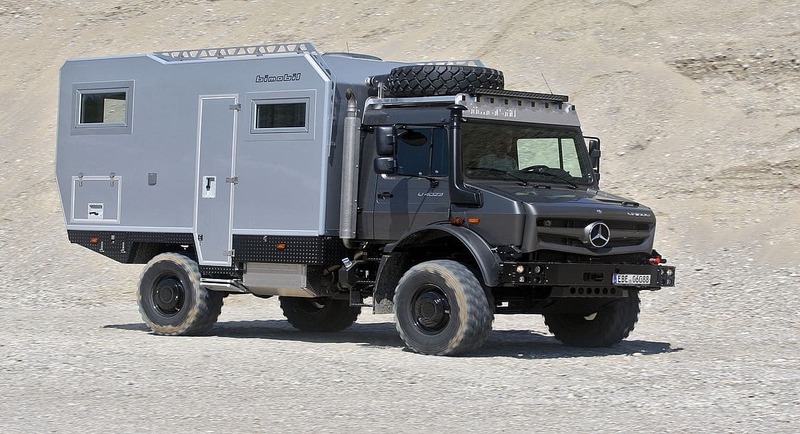 Finally – the bimobil EX 435 mounted to the new UNIMOG ! We proudly present our latest invention: The EX 435 mounted to Unimog 4024. We created a spatial wonder, great layout, detailed interior and much more. And - irrespectively of rain, snow, sand or scree - this bimobil is bound to get you to your final destination. No matter where, no matter when! 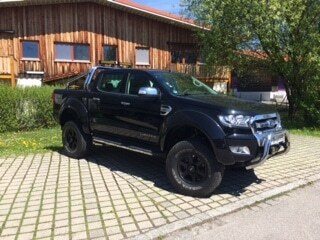 Due to the high demand and the improved chassis husky cabins mounted to Ford Ranger are back. Just ask us for more information. Light, narrow and low with comfortable longitudinal beds at the rear. 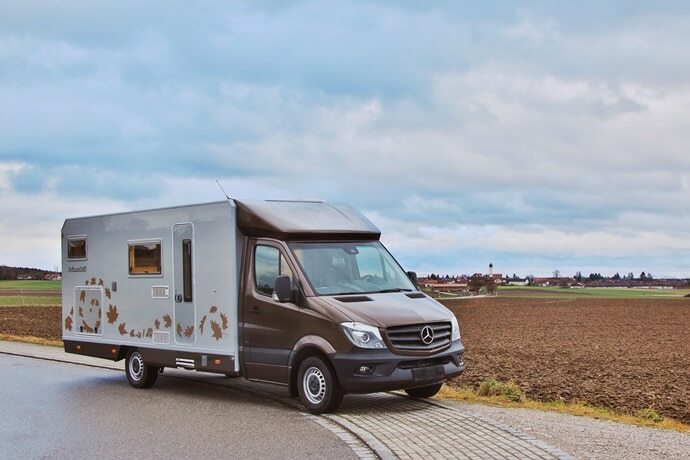 This model offers ample living space and freedom on the road. Since it copes with 3.5t GVW there is no legal speed limit and the traditional cabin design supplies best insulation for perfect usage through all seasons. YES: The bimobil husky – now with longitudial beds! The new husky 240 layout - more room and even more comfort. 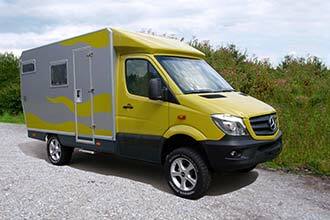 The EX366 is an all-wheel drive compact motorhome under 3.5 tons which provides practical comfort and versatility for 2 persons. 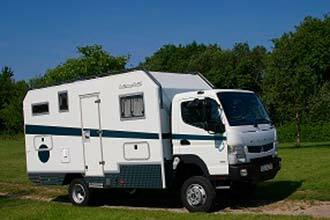 The Fuso Canter 4x4 – the EX 460 habitant cabin with new layout is a comfy mobile home , totally reliable and functional like a truck. All over the globe! 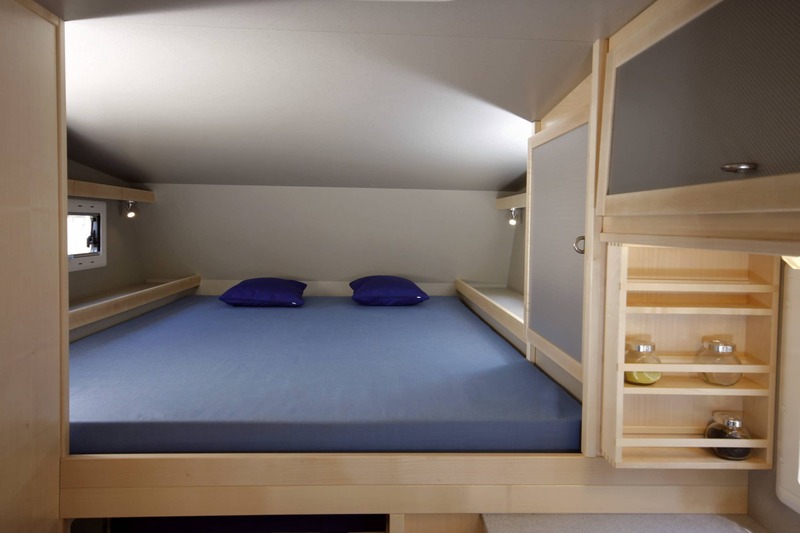 bimobil offers a number of different designs for the campers. 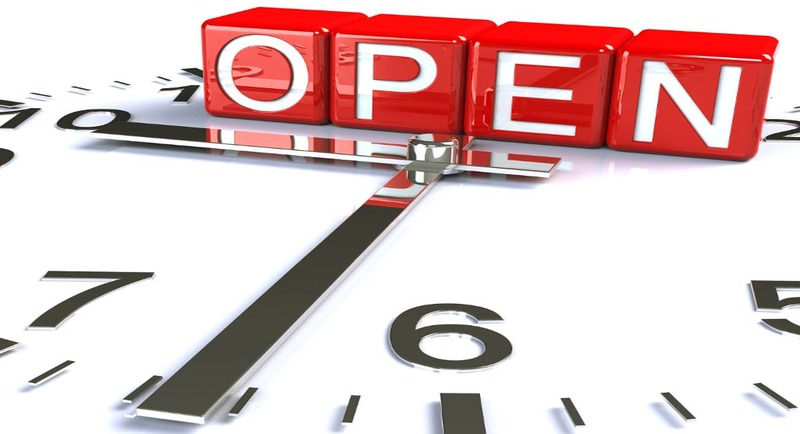 Choose from our suggestions or discuss your idea with us. Naturalla the conversion of your own favorite embroidery is also possible - like most things at bimobil.